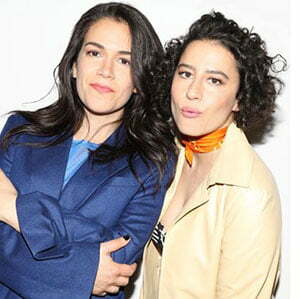 Viacom-owned US cablenet Comedy Central has signed a first-look deal with Broad City creators Ilana Glazer and Abbi Jacobson, with three projects already in development. The arrangement includes content created and developed by Glazer and Jacobson, both together and independently. Glazer and Jacobson are the creators, directors and showrunners behind Broad City, which was developed from a web series and has been commissioned for its fifth and final season in 2019. The three projects in development at Comedy Central under the deal are Mall Town USA, Platinum Status and Young Professionals. Mall Town USA is an animated comedy that follows the after-school misadventures of a teenager in a shopping mall. The show is written and created by Gabe Liedman and executive produced by Jacobson and Glazer. Platinum Status is set in LA and tells the story of a gay professional backing singer who forms an intimate relationship with a woman. Eliot Glazer will write and exec produce the show while Ilana Glazer will exec produce alongside Principato Young’s Peter Principato. Brian Steinberg and Electric Avenue’s Will Arnett and Marc Forman will also exec produce. The third project is Young Professionals, which tells the story of David Litt, who became one of the youngest White House speechwriters in history. The show is written and exec produced by Litt, with Jacobson and Glazer also serving as exec producers.